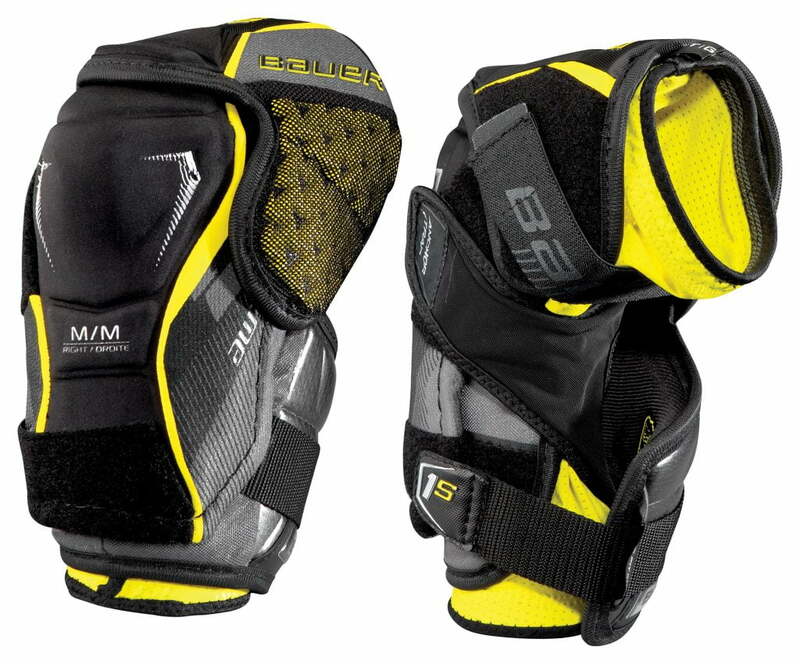 Bauer Supreme 1S Junior Elbow Pads | Sports Etc. Get an anatomical fit like never before, thanks to Curv® composite with POWERLITE. This moldable foam fits snugly to the elbow to keep your protection in place. Players get the ultimate anatomical fit with POWERLITE technology—a lightweight, moldable foam that contours to a player’s body. Combined with Curv® composite in main impact areas, this helps players be ready for the game’s battles. Strategically placed FleXorb comforts the elbow while protecting from heavy impacts and slashes during the game. Secure your elbow pads in place thanks to the 3-strap system with anchor and overlock strap, as well as the integrated Sleeve Lock for enhanced stability and protection. Along with 37.5® Technology, the liner in the 1S Elbow Pad now features Sanitized® odor-resistant treatment, which protects against bacterial and fungal growth for enhanced odor control. Sports Etc Performance To Value Rating– 9 out of 10. One of the very best elbow pads on the market. Innovative technology, which combines ultimate protection and an unmatched lightweight feel.